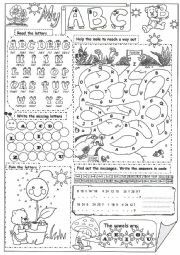 Amazing activities to practise English alphabet. I hope it is useful. 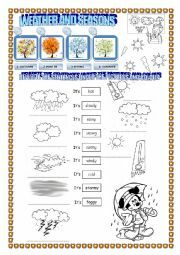 Amazing activities to practise months and seasons. Have a nice day and.......good work!!! 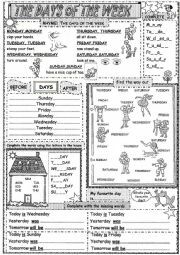 Amazing activities to practise days of the week. I hope it is useful. Have a nice day!!! 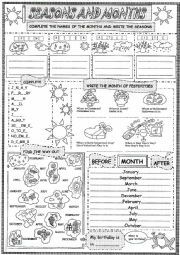 A simple elementary grammar worksheet to consolidate simple present (affirmative and short form). Have a nice day!!! FUN WORKSHEET TO REVISE CLOTHES AND COLOURS!!! Read and match.Colour as instructed.Cut out the pictures the girl�s clothes .Finally describe. GOOD WORK!!! 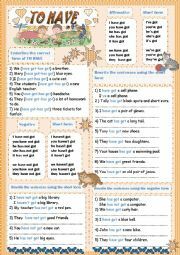 Simple exercises to practise verb TO HAVE got in simple present (affirmative,negative and short form). 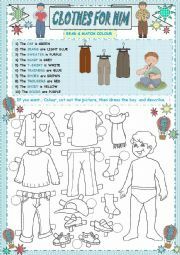 FUN WORKSHEET TO REVISE CLOTHES AND COLOURS!!! Read and match.Colour as instructed.Cut out the pictures the boy�s clothes .Finally describe. GOOD WORK!!! This is a special "Father�s day" card. 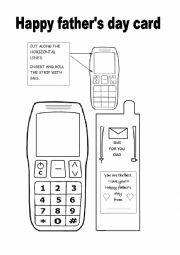 Pupils have to cut,insert the message,decorate the phone and write their name in the box under sms.